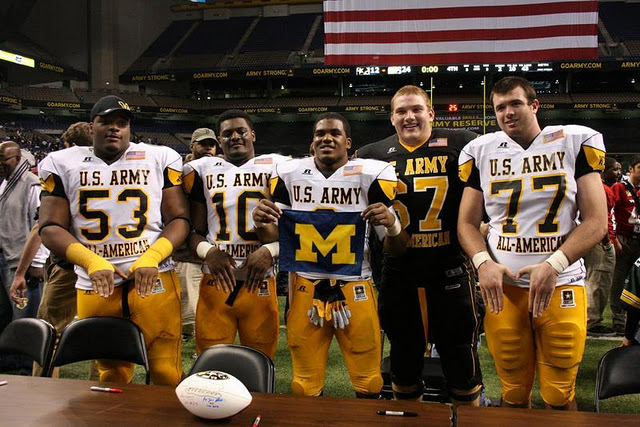 L-R: Ondre Pipkins, Royce Jenkins-Stone, James Ross, Kyle Kalis, Erik Magnuson at the 2012 Army All-Star Game. Not that we need to obsess to much, but useful media guide info is gushing out of the B1G media days in Chicago. 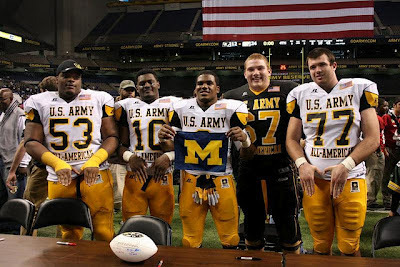 Here's the heights and weights for all of Michigan's incoming freshmen. You're welcome. Bold on Pipkins is mine. He's huge! May need to shed some pounds before Sept. 1st.